Nadzeya Ostapchuk has been ordered to return her Beijing 2008 Olympic shot put bronze medal after being disqualified from the event, the International Olympic Committee (IOC) has announced. Reanalysis of Ostapchuk’s samples from the 2008 Games resulted in a positive test for the prohibited substances dehydrochlormethyltestosterone (turinabol) and tamoxifen. 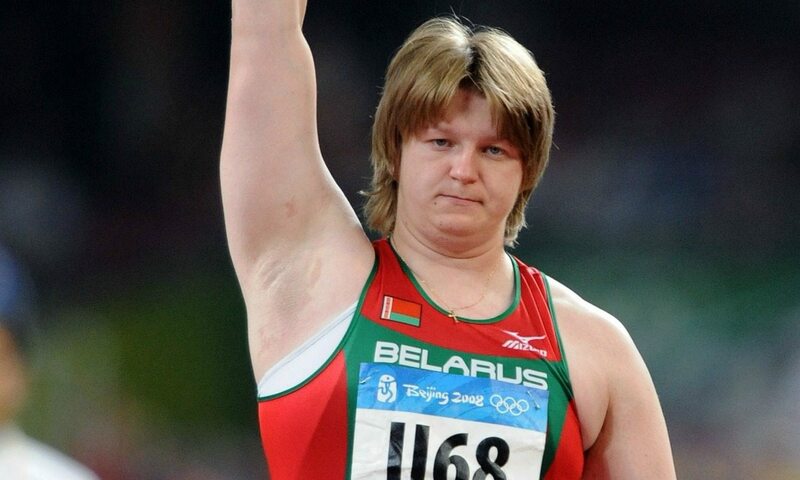 The Belarusian thrower had already also been stripped of her London 2012 gold medal following another doping case. Ostapchuk’s compatriot Natallia Mikhnevich, who originally claimed Beijing 2008 silver ahead of Ostapchuk, lost her medal last year after the IOC announced last November that reanalysis of her sample resulted in a positive test for methandienone and stanozolol. On Thursday (January 12), the IOC also announced the disqualification from the Beijing Games of Belarusian hammer thrower Darya Pchelnik, who had placed fourth at the event in 2008. Reanalysis of Pchelnik’s samples from Beijing 2008 resulted in a positive test for dehydrochlormethyltestosterone (turinabol), the IOC said. Aksana Miankova was another Belarusian athlete whose disqualification was announced by the IOC last November, with Miankova being stripped of the hammer gold she won ahead of fourth-placer Pchelnik in Beijing. Miankova was also disqualified from London 2012. The IOC has requested that the International Association of Athletics Federations (IAAF) modifies the results accordingly and also considers any further action within its own competence.